V4 Development's David vanBlaricom judged the 2018 Capstone Design Expofor 2018. Student teams presented their completed work at the Dean's Society event on April 26, 2018 and the Capstone Design Expo on April 27, 2018 at the Stuart C. Siegel Center. The Capstone Design course was created to immerse senior engineering students in the hands-on processes of solving practical “real world” problems. The Capstone Design course at the School of Engineering of Virginia Commonwealth University is meant to be the climax of every engineering student’s undergraduate education. As a prerequisite to attaining a Bachelor’s degree, the Capstone Design course presents each student with the challenge of working in a team to tackle actual engineering problems within and across the fields of Chemical and Life Science, Mechanical and Nuclear, Biomedical, Electrical, and Computer Engineering and Science. A significant real-world aspect arises from opportunities presented to our students from the industrial community as well as other VCU schools – in particular the health sciences. In all cases teams learn and apply the engineering design process: defining functional requirements, conceptualization, analysis, identifying risks and countermeasures, selection, prototyping and testing. 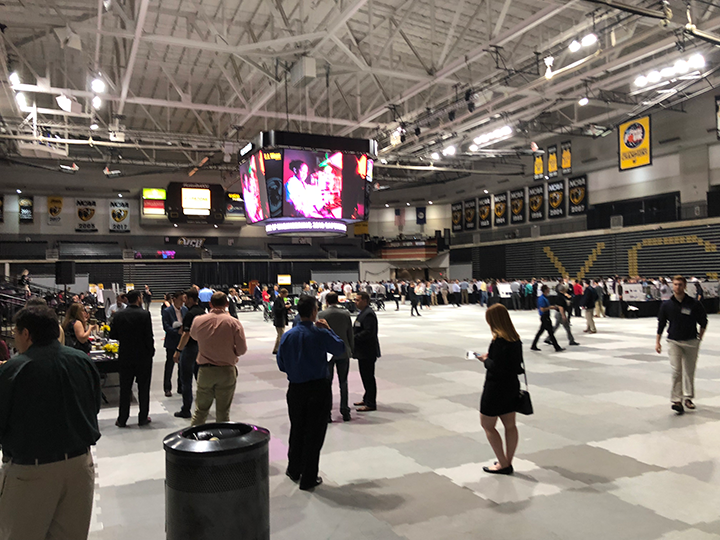 At the end of the two semester course in April, the student teams present their work to the sponsors, faculty, students, invited guests and the general public at the Capstone Design Expo, held at the Siegel Center in Richmond, Virginia. Not only do they have the chance to display actual working models and prototypes, but they also compete for awards and prizes.